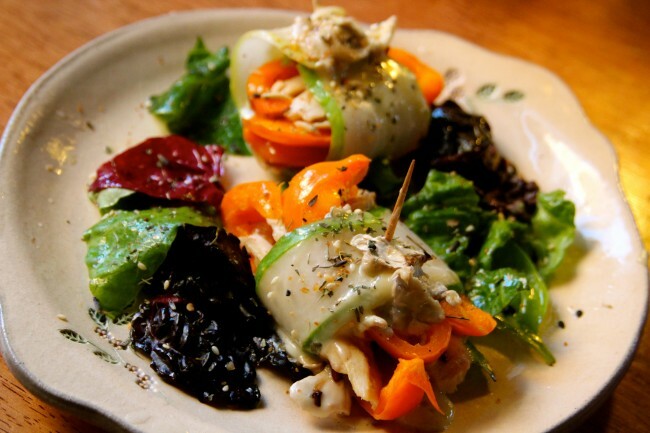 Tender sautéd chicken and sweet pepper is wrapped in fresh garden cucumber and toped with French cheese. The explosion of summer flavours has arrived. One large fresh garden cucumber sliced into strips with a vegetable peeler or knife. 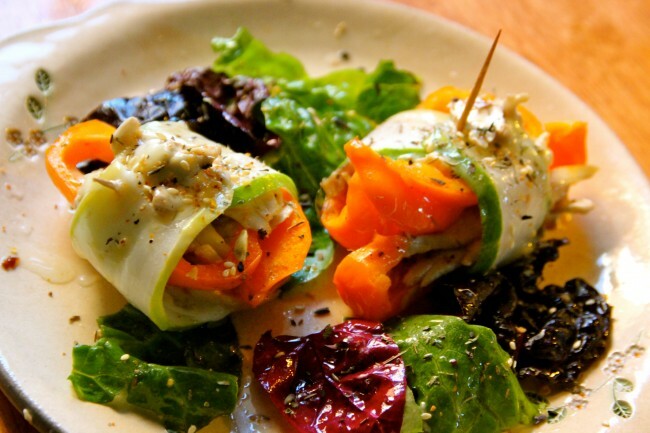 Place strips of chicken and sweet pepper across one slice of cucumber. Roll and secure with toothpick. Place a large dollop of cheese on the roll and place in the broiler until cheese melts. Sprinkle with lemon juice, toasted sesame oil, toasted sesame seeds, Herbs De Province, a touch of sea salt and fresh cracked pepper. Place on a small bed of mixed greens tossed with extra-virgin olive oil. This looks decadent! Great fair for early September! Thanks Andre!! Really good late summertime flavours here. Not to mention colors! !